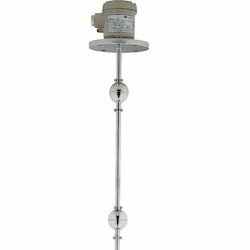 We are a leading Wholesale Distributor of level switch side mounted, level switch lbfs, by-pass level indicator side mounted / top mounted, cable float level switch top mounted, lsk x2x conductive level sensor and lsk x5x conductive level sensor from Pune, India. LA switch is Compact & rugged construction consisting of a free moving float and a switch assembly in non - magnetic material to catch maximum magnetic flux.It includes dual magnets, one carried by the float arm and other by the other assembled in the switch enclosure. A change in liquid level brings the like poles of dual magnets opposite to each other and resulting repulsion force which gives a changeover contacts with snap action. We are one of the leading wholesale distributors of Level Switch LBFS. 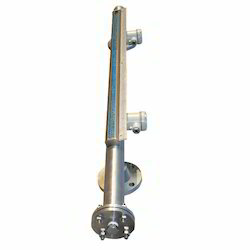 Magnetic level gauge consists float containing properly centered special magnet, has greater magnetizing force than the outside mounted flapper magnet of the indicator system. Attached to the chamber is a series of bi -colored flapper each containing magnet. As the liquid raise in the tank or vessel the same level comes in float chamber, due to buoyancy force flow starts moving within the chamber, which cause bi -colored flapper flip to the opposite sides or 180 °, providing a visual display of the liquid and protects against the false actuation. It is simple and reliable switch for level detection. It can be used for small or long range of storage tanks and reservoirs. Polypropylene rigid construction provides prevention from corrosion. Float tilt with liquid in rise & fall condition, accordingly micro switch operates from NO (Normally Open) to NC (Normally Close) position.It can be used as a multi point switch also. 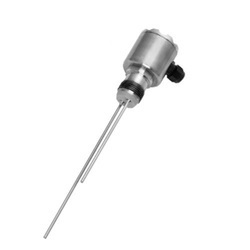 The conductive level sensor LSK is used for level detection and dry run protection in conductive liquids.The LSK measures the resistance between the ground potential and the sensing element covered by the conductive liquid. The tank or pipe side acts as the ground potential. If the tank is made of a non-conducting material a ground electrode must be installed. 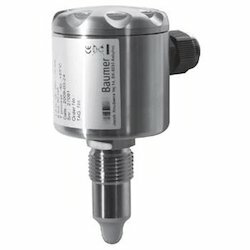 The conductive level sensor LSK is used for level detection and dry run protection in conductive liquids. The LSK measures the resistance between the ground potential and the sensing element covered by the conductive liquid. Consisting of Float and Guide Tube, made of non magnetic material to achieve magnetic flux. 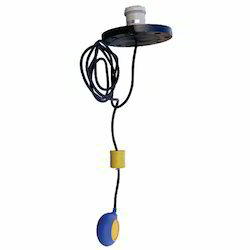 The float designed with magnetic system and moves freely along the guide tube, which contains a glass encapsulated hermetically sealed Reed switch located at preset positions. Float follows liquid level and actuates reed switch at preset positions which will give a changeover contact. 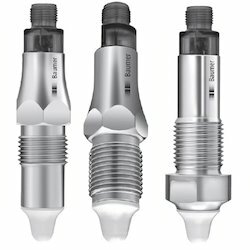 Single or multiple set points can be achieved through single or multiple floats as required. Power supply 12,5...36 VDC, 35 mA max. 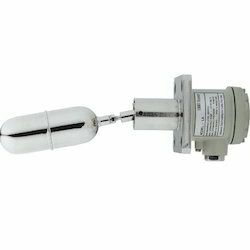 We are one of the leading wholesale distributors of Level Switch LFFS.